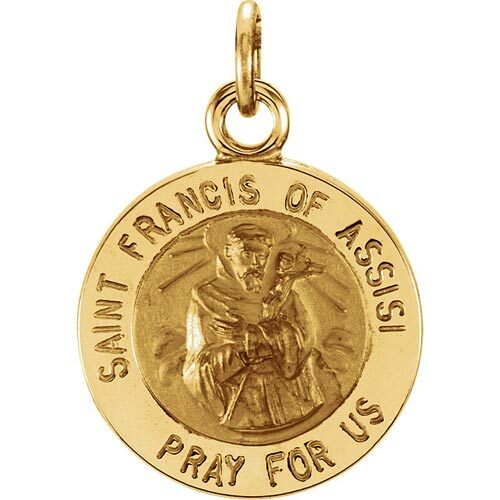 This very small St. Francis medal is made of polished 14kt yellow gold. St. Francis embraces the cross of Jesus. Dimensions: 12mm diameter. This item is half the height of a quarter. Weighs .77 grams. Please note: weight is approximate, actual weight may vary. Chain not included. Jump ring dimensions: 1.9mm x 2.0mm.